Airtel offers to get 5 new smart prepaid plans, up to 84 days validity. 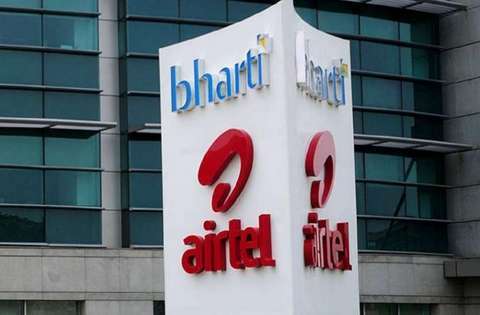 Airtel had removed six attractive smart prepaid plans for its users in September this year. Airtel recently pulled out 5 new plans for its euro. In these plans, data from 100 MB data to 2GB will be given to Users, whose validity will last from 28 days to 84 days. Earlier, Airtel had removed 6 attractive smart prepaid plans for its users in September. The price of these plans ranged from 25 rupees to 245 rupees. In which its validity ranged from 28 days to 84 days. Under these plans, the minimum 100 MB and maximum 2 GB data was given to Users. This is Airtel's cheapest plan which gives 28 days validity, 100 MB of data and talk time of Rs 25.66. Outgoing calls will be charged 2.5 paisa per second while calling in the domestic network. The plan also includes validity of 28 days, but the outgoing call rate within the domestic network is slightly cheaper than a penny per second. At the same time, this plan will get talktime of Rs 54 with 200 MB of data. Like plans for the last 34 and 64 rupees, this plan also offers 28 days validity. In this plan, users will get talktime of Rs 94 with 500 MB data. The special point of this plan is that the call rate will be charged only 30 paisa per minute when making outgoing calls in the home network. This plan offers more validity than the previous plans. It offers 42 days validity and if you make outgoing calls in the home network, the call rate will be charged only 30 minutes. Airtel has also given a package of 144 rupees along with 1GB 3G / 4G data in this plan. In this grand plan of 244 rupees, you get 84 days of validity as well as talk time of 244 rupees. In this plan 2GB 3G / 4G data as well as outgoing calls will be charged 30 paisa per minute call rate.